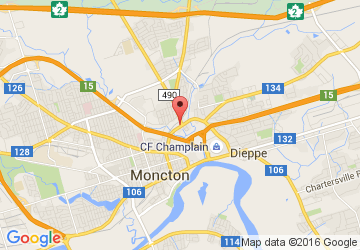 I wish to receive recalls, news and promotions emails from Moncton Kia. Optima SXL Shown. Offer(s) available on select new 2018/2019 models through participating dealers to qualified retail customers who take delivery from February 1 to 28, 2019. Dealers may sell or lease for less. Some conditions apply. See dealer for complete details. Vehicles shown may include optional accessories and upgrades available at extra cost. All offers are subject to change without notice. All pricing and payments exclude delivery and destination fees up to $1,785, $100 A/C charge (where applicable), other taxes, licensing, registration, insurance, variable dealer administration fees, fuel-fill charges up to $100, and down payment (if applicable and unless otherwise specified). Other lease and financing options also available. ? 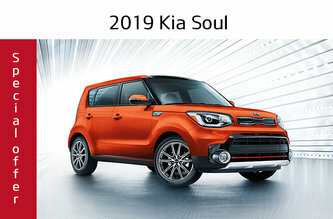 Conquer Winter Bonus is available on the purchase, lease or finance of a qualifying new and previously unregistered model from an authorized Kia dealer in Canada between February 1 to 28, 2019. Conquer Winter Bonus amount varies by model as follows: 2019 Forte/2019 Sorento eligible for $500/$750 bonus. Conquer Winter Bonus is combinable with certain other retail incentives and will be deducted from the negotiated price before taxes. No cash surrender value and cannot be applied to past transactions. Some restrictions apply. Please see dealer for full details. Offer is subject to change without notice. ^No-Charge All-Wheel Drive is available on new and unregistered 2019 Sportage LX AWD (SP752K) and 2019 Sorento LX AWD (SR75BK) on cash purchase between February 1 to 28, 2019. Offer consists of a discount deducted before taxes that can only be used at the time of initial purchase and applied towards the purchase price of 2019 Sportage LX AWD (SP752K) and 2019 Sorento LX AWD (SR75BK) from an authorized Kia dealer in Canada. *AJAC is an association of prestigious professional journalists, writers, photographers, and corporate members whose goal is to ensure factual and ethical reporting about the Canadian automobile industry. 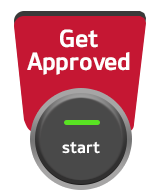 ~1% Rate Reduction limited time offer on approved credit. 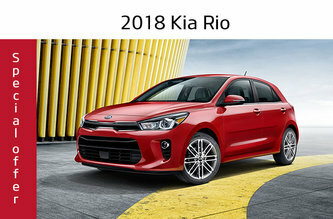 Offer available to qualifying loyalty/ conquest customers on new 2019 Kia Forte models financed/leased at retail and delivered from an authorized Kia dealership in Canada between February 1 and 28, 2019. To qualify, a loyalty customer must be the current owner/lessee of a Kia vehicle that has been properly registered and licensed for at least the past 90 days. Conquest customers must be a current owner/lessee of an eligible competitor vehicle of the same class & category that has been properly registered and licensed for at least the past 90 days, see dealer for more details. Offer eligibility will be verified and determined by Kia in its discretion. Qualifying loyalty/conquest customers will receive a 1% reduction off finance or lease rates currently available. Under no circumstances can rates be reduced below 0% APR. Offer is transferrable within the same household. Offer can be combined with Kia’s pull-ahead program and the Kia Motors Finance lease loyalty program. Limit of one bonus per customer or household. Offer has no cash surrender value and cannot be applied to past transactions. Conditions apply. Offer is subject to change or cancellation without notice. See your participating Kia dealer for details. Φ 0% financing is only available on select new models to qualified customers on approved credit. Representative Financing Example: Finance a new Sorento LX 2.4L FWD 2019 (SR75AK) / Rio5 LX+ AT 2018 (RO753J) / Sedona L 2019 (SD751K) / Sorento LX 2.4L FWD 2019 (SR75AK) with a selling price of $27,545 / $17,495 / $28,495 / $28,295 at 0.99% / 0.99% / 1.99% / 0% for 84 / 84 / 84 / 48 months for a total of 364 / 364 / 364 / 208 weekly payments of $69 / $45 / $84 / $136 with $3,105 / $1,495 / $0 / $0 down payment. Payment amount includes $750 / $500 / $0 / $0 Bonus. Cost of borrowing is $855 / $560 / $2,025 / $0 for a total obligation of $27,545 / $17,495 / $28,495 / $28,295. * Lease offer is only available on select new models to qualified customers on approved credit. 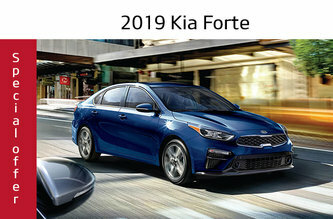 Representative Leasing Example: Lease offer available on approved credit (OAC), on the new Forte LX MT 2019 (FO541K) / Sportage LX FWD 2019 (SP751K) / Soul LX 2019 (SO752K) with a selling price of $16,495 / $25,295 / $20,095 is based on a total number of 260/260/208 weekly payments of $36 / $59 / $51 for 60/60/48 months at 1.99% / 3.49% / 1.99% with $0 security deposit, $850 / $2,925 / $1,095 down payment and first payment due at lease inception. Offer includes $500 / $0 / $0 Bonus. Total lease obligation is $9,296 / $15,396 / $10,676 with the option to purchase at the end of the term for $6,268 / $9,106 / $8,641. Lease has 16,000 km/yr allowance (other packages available and $0.12/km for excess kilometres). † Cash Purchase Price for the new Optima LX AT 2018 (OP741J) is $18,995 and includes $5,000 cash discount. Cash discount varies by model and trim and is deducted from the negotiated selling price before taxes. 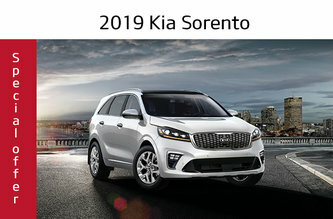 ‡ Model shown Manufacturer Suggested Retail Price for 2019 Sorento SXL (SR75KK)/2019 Sportage SX Turbo (SP757K)/ 2019 Forte EX Limited (FO847K)/2019 Sedona SXL+ (SD757K)/2019 Soul SX Turbo Tech (SO85DK)/ 2018 Rio 5 EX Tech Navi (RO756J)/2018 Optima SXL (OP747J) is $49,165/$39,595/$28,065/$47,865/ $30,095/$23,745/$38,745.